Hot off an appearance at this year's Coachella Valley Music & Arts Festival, UK singer/songwriter Eliza Doolittle is set to release her album stateside tomorrow, Tuesday, April 19th on Capitol Records. To help promote the album, Doolittle made her U.S. television debut on The Tonight Show With Jay Leno, performing her debut single "Skinny Genes." In addition, Doolittle has announced a short U.S. tour, supporting fellow UK act Plan B for several key dates, including shows in Los Angeles, San Francisco and Seattle and will headline her own gig in New York City. 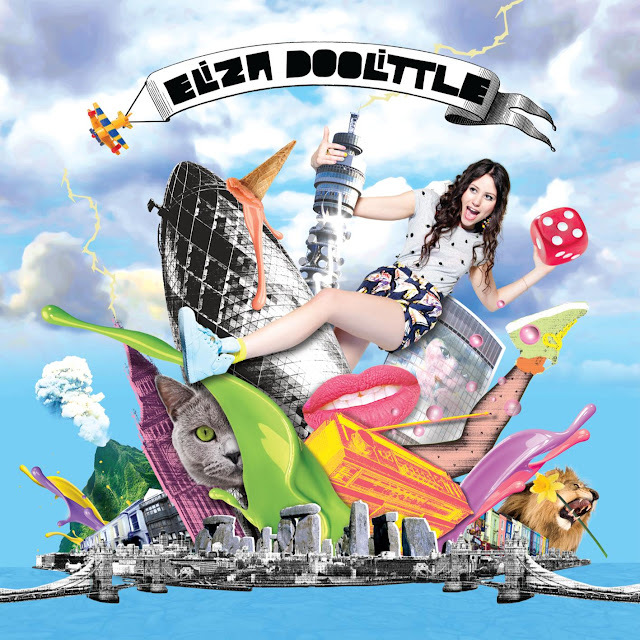 Doolittle's self-titled debut album features collaborations with big industry names including Greg Kurstin, Steve Chrisanthou, the late Jonny $ and Craigie Dodds. Over in the UK the album has already been certified platinum while her second UK single, "Pack Up" has been certified gold. Doolittle's sound infuses jazz, Motown and pop to create ear candy certain to put a smile on any one's face. Eliza Doolittle is the perfect Spring album and you can pick up your copy in stores starting on Tuesday (or pre-order it on iTunes HERE). "Influenced by classic pop, old soul, and the appeal of simple, strong melodies built from clanking percussion and jazzy licks, the album is bursting at the seams with life and enthusiasm and vigor — just like its creator. She marries breezily beautiful melodies and witty, erudite lyrics with a delightfully off-kilter twist and a knack for a killer hook." Prior to the release of Doolittle's EP in November, iTunes spotlighted "Rollerblades" as the free 'Single of the Week.' NPR's World Cafe named even named her as an artist to watch in 2011. Shortly after, her EP appeared on the Billboard Heatseekers chart. The EP features audio and video for "Skinny Genes," "Pack Up," "Rollerblades" and a video interview with the singer. Check out Doolittle on tour, dates are below. 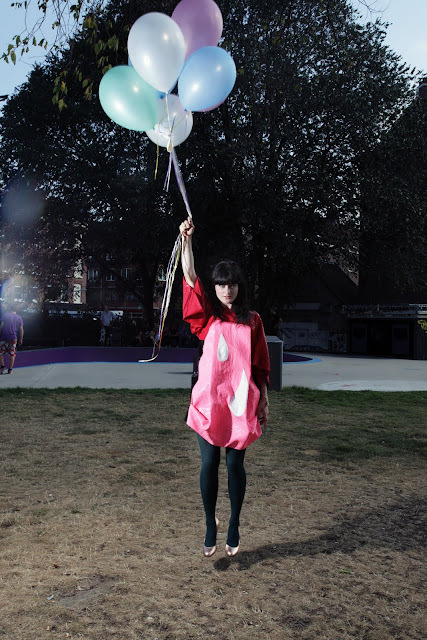 Also check out her latest video for "Mr. Medicine," the fourth UK single off her debut album. 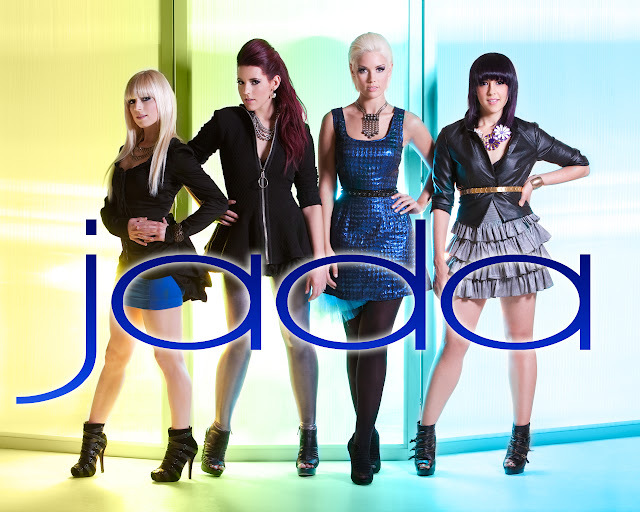 My favorite Boston-based girl group, Jada is comin' back with a new single and a hot new music video. "This Party's On Fire" was produced by Ric Poulin and will be Jada's follow up to 2009's "American Cowboy" and "Break Up Song." Based on the snippet I've heard, the song seems to be in the same 'DANCE-POP' vein as previous releases, which I'm not complaining about one bit. Since the release of their last single, Jada has been busy making appearances around New England and working on their debut album, which is rumored to feature collaborations with J.R. Rotem, Dallas Austin, Swizz Beats, RedOne, Akon, Ryan Tedder, Toby Gad and Wyclef Jean. I'm hoping with the release of "This Party's On Fire" that means we'll FINALLY have a new Jada album to play. Check out this short little teaser from the forthcoming video, due out sometime this month and stay tuned for more Jada news coming soon! JADA "This Party's On Fire" Teaser Trailer from Vassili Shields on Vimeo. Sometimes all it takes to rope me in is a SUPER COOL music video, as was the case with Dutch singer/songwriter Susanne Clermonts. Clermonts, (AKA Krause) released her debut album, No Guts, No Glory last year through Sony Music Netherlands. The album was produced by Dutch drum and bass trio Noisia ('VISION' spelled backwards and upside down) featuring the title track as the lead single. Krause recently released a music video for a new single called "Follow Me," which was done in collaboration with director Daniel Nogueira and fashion designer Antoine Peters. The super-cool video was shot almost entirely with 3D scanners, with Krause's image created from thousands of tiny lights. It's hard to visualize so why don't you just watch it below? If you like what you hear (AND SEE) you can download the track above. Make sure you also check out THIS SITE on the 'Making Of' the "Follow Me" video. It's pretty cool and definitely worth a look. I can't wait to hear more from Krause, but for now I'll have to make do with what's available on the U.S. iTunes store - which is the "No Guts, No Glory" single (download HERE), as well as two more recent singles, "I Want a Pony" (download HERE) and "Soaring Through The Starlight" (download HERE). Liverpudlian singer/songwriter Delta Maid may be one of the most interesting artists to emerge from the UK music scene of late. She's a little bit country...she's a little bit bluesy...she's a little bit folksy - she's unique and she's different and I find that refreshing. While most young artists from the UK are focused on electro pop (which I also love) or more urban sounds, Delta Maid is beating to the tune of her own drummer. Delta Maid was introduced at an early age to American Blues legends like Son House, Skip James, Bessie Smith and Robert Johnson, and it's these artists who serve as her inspiration today. Despite the fact that Delta's influences all recorded music during the early and mid part of the twentieth century, Delta's sound is completely fresh and modern. Delta even developed her own way of picking her acoustic guitar! For a great sampling of what Delta Maid is all about, check out her stunningly brilliant (and original) cover of The Strokes' "Under Cover of Darkness" below. Gorgeous. Delta Maid's debut album, Outside Looking In, is due out May 9th on Geffen/Future Records, preceded by first single, the country-fried hipshaker "Of My Own," due out May 1st. 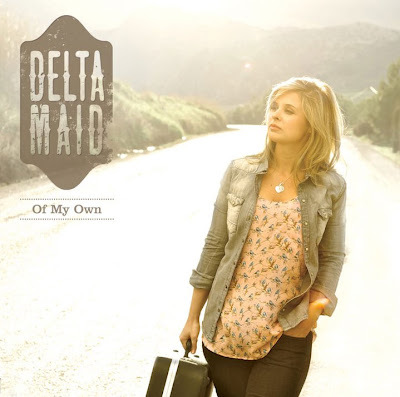 Check out the gorgeous video for "Of My Own" below and witness Delta Maid in all her glory. Vocally she sounds a little bit like Jewel, who's also been bitten by the country bug and has been doing well following that path. I imagine that Delta Maid would do well over here on the country charts, should she decide to release her stuff here in America. The album was recorded at Parr Street Studios in Liverpool and co-produced by Delta and Chris Taylor, along with Delta's brother featured on lead guitar. The album isn't straight up blues or country. It's a lot more layered than that. We have rockabilly on title track "Outside Looking In," tenderness and poignancy on "Footprints," gospel bounce on "All I Dreamed," ragtime on "Any Way I Want To" and heartbreak country on "Dance With My Broken Heart," a Hank Williams cover. Rockabilly, gospel, ragtime, country, blues - Outside Looking In has something for everyone. Make sure you check out Delta on tour this Spring and Summer in the UK and remember that "Of My Own," her first official single, is out May 1st, followed by the album on May 9th. Delta Maid is an artist you surely don't want to miss.